Just a lil’ old new arrival post. To be followed shortly by a big excited one about Dummy. Well looky here, what’s this? A compilation of all the scariest classical music you’ve ever imagined? Right here? In the Music Library? What a shock! Known as “Fright Night,” and subtitled “Music That Goes Bump in the Night,” this CD has spent centuries as a dark rumor passed around occult souvenir shops and witches’ fires. Through some kind of Faustian bargain, I must guess, we now have one of six hundred and sixty-six copies (that’s 666, everyone) sitting in our shelves. This demonic CD boasts a great selection of dark & creepy classical pieces, such as Modest Mussorgsky’s “Night On Bald Mountain” (originally from his “Pictures at an Exhibition), known as the song from the Fantasia scene where giant ghouls descend from the mountain onto the small town below. Other highlights include Dukas’ “The Sorcerer’s Apprentice” (also of Fantasia fame) and of course Grieg’s “In the Hall of the Mountain King.” Berlioz’s “March to the Scaffold” is here. Bach’s “Toccata in D minor” is here (the creepy lightning-flash haunted castle organ music). Even Wagner’s “Ride of the Valkyries” makes an appearance (is that one scary? not so sure…). I can see why this CD is the stuff of legend. Even looking at its track list makes the hairs on the back of my neck stand up. It’s the perfect pick for a paranoid Halloween night at home, so come grab it before we close! Not one but TWO rad DC events to tell you about today. 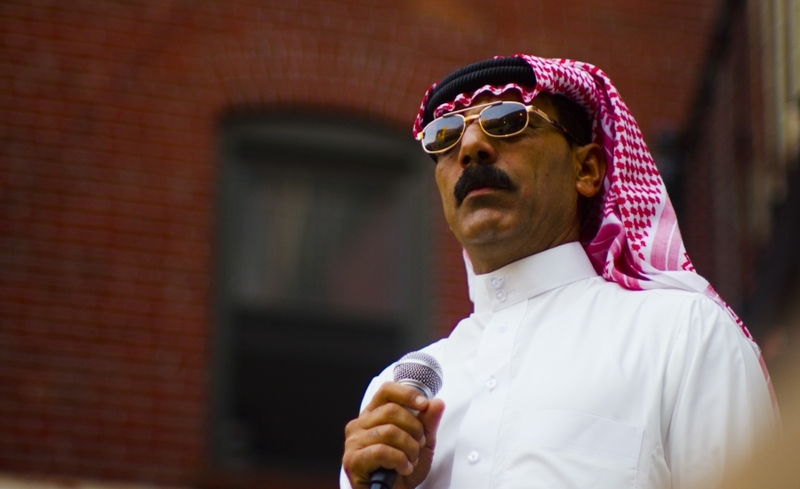 Souleyman is TONIGHT at the Howard Theatre. Second, there’ll be a truly rare opportunity coming this Thursday. You have not heard of Charanjit Signh, most likely. 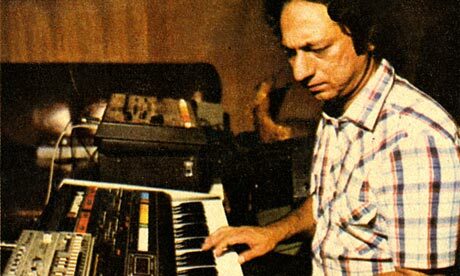 Signh was in the Bollywood film industry in the 70’s and 80’s, making music for movies. As such, he had access to some pretty state-of-the-art audio gear for the time, including some now-classic analog synths: the 303 and the 808 and others. A longtime fan of classical Indian music (and, folks, you need to get into classical Indian music – it’s pretty amazing stuff), Singh thought to try to promote or popularize or ‘update’ these older forms for the new, hip kids the films were being marketed to. And what was hip in India in the early 80’s? DISCO. Thus, 10 Ragas to a Disco Beat, which was released in ’82. And as a record, it failed. Flash forward to a few years ago, this record gets “discovered” by dance music nuts. It turns out Singh’s work sounds a heck of a lot like acid house, which didn’t arrive on the scene in Chicago until 1987. Singh will be at Tropicalia on U street on Thursday, so you have two days to prepare yourselves for this. It will be quite the show, folks. Unfinished business… The term itself causes my OCD tendencies to go haywire. There is a sort of bravery, a glorious abandon, in leaving business unfinished. And while most of the working world shudders at the admission that business will go unfinished, it happens quite often. Except for this post, which I will finish before my shift ends. Anyways, and unsurprisingly, there are a great many pieces in the musical repertoire that remain unfinished. With the classical composers, constantly creating at a feverish rate, it’s understandable that some things would get left behind. Two of the most prolific of the great composers, Mozart and Schubert, were not immune to the curse of the unfinished, and this weekend our AU Symphony and Chorus will delve into two of the greatest unfinished works (an oxymoron?) in the classical repertoire. Conducted by DPA professors Yaniv Dinur and Dan Abraham, the Symphony and Chorus will first tackle Mozart’s Great Mass in C Minor, an epic and ambitious mass that proved to be too much so for the composer, who left it unfinished when he died. The second is possibly the most famous unfinished piece of all, Schubert’s Symphony No. 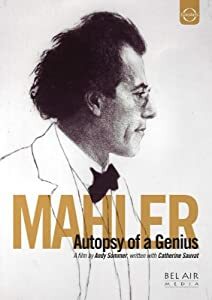 8, known as the “Unfinished Symphony.” Interestingly, after composing the first two movements, he simply never returned to it in the six years of his life that followed its composition. Both pieces are revered, and are quite impressive even in their incomplete state. 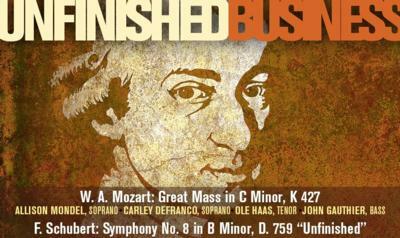 More impressive still are the implications: what was written was too great to be done up by any greater final movement. They gave it their all at the get-go. Come see the AUSO&C perform these pieces, as completely as possible, on Friday or Saturday night at 8 in Katzen. The event costs $15 to attend, but if you’re an AU community member you can get in for $10. In recent months I have been fueled by Beethoven. Piano sonatas, string quartets, symphonies, concertos, everything. So, my first staff pick is the excellent documentary In Search of Beethoven. There are too many prominent ensembles, conductors and pianists featured in the film to count. The documentary truly takes the viewer on a journey. It catalogs his works and gives us some insight into Beethoven’s remarkable personality and his empathy for humanity. Chamber music. There’s so much of it! I think Mendelssohn is a good place to start. 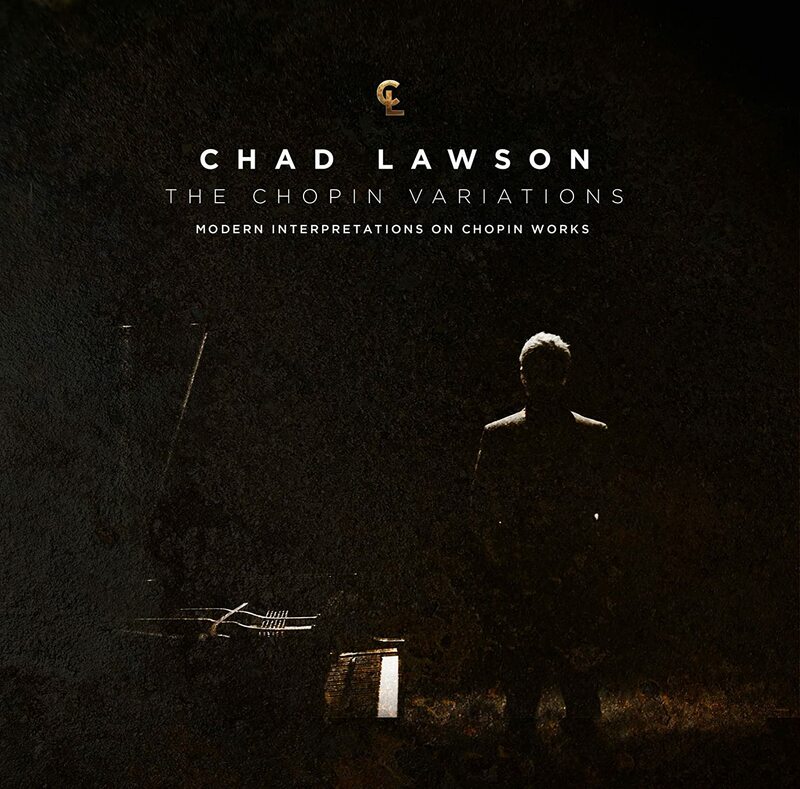 His piano trios are remarkable (the man DID write “Songs without Words”). Mendelssohn’s Piano Trio in D minor was written in 1839, the year before Schumann experienced his most prolific year of songwriting. I love that Schumann viewed Mendelssohn as the Mozart of the 19th century, saying that he was the “most of illuminating of musicians”. High praise. 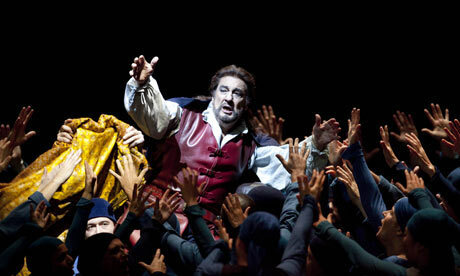 2013 is the bicentennial of Verdi and Wagner! Orchestras and Opera companies all over the world are celebrating with seasons dedicated to performing great works, from the most famous to the lesser-known. The AUSO began the celebration in March with the overture from Die Meistersinger von Nurmberg and they will be joined by the AU Chorus in a couple of weeks to keep the party going with Verdi’s Four Sacre Pezzi. These scores have just arrived from the bindery! One of the great things about being in upper Northwest D.C. is the wealth of cultural events available through the multitude of embassies located in this area. One such event is happening this Friday at the Hungarian Embassy. They’re partnering with Alliance Francaise to bring in the pianist Tristan Pfaff for a (nearly) all-Liszt program. The concert kicks off at 7pm. Additional program information and tickets are available from the Alliance Francaise event page. The Hungarian Embassy is located on Tilden St. NW as you head down towards Pierce Mill – just a hop, skip, and jump from Howard Law and the Levine School of Music. For future reference, you can find out what’s going on at the embassies by searching “embassy” over at Cultural Tourism DC.